A new social media game has emerged—this time it encourages teenagers to disappear entirely for at least two days. The shocking game is called the 48-hour challenge. “It’s just a terrible strain, emotionally, physically on these families,” Lee Tuttle, Charlotte-Mecklenburg Police Department’s missing person’s investigator in North Carolina told ABC affiliate WSOC-TV. The strain that Tuttle described refers to what the families of the teens go through when they realize a family member has disappeared. Reports of missing teenagers who took part in the challenge are being reported across the United Kingdom, FOX11 reported. The challenge can be seen on Facebook and spurs teens to go into hiding without telling family or friends. What’s worse is that children get more points the longer they are able to stay missing, WSOC-TV reported. They also get more points if there are social media posts or news reports about their disappearance. “We were talking about it amongst our unit and we all cringed as soon as we heard something like that,” Tuttle said. “It sounds terrifying. It sounds really cruel,” parent Amy Marsh told WSOC-TV. The missing person unit statistics reveal why this challenge is such a concern. Investigators look at around 2,500 missing person cases per year, and around half of the victims are between 13 and 15 years old. Counselor Jennifer Boyd explained why some teenagers are interested in the game. “Kids at that age are a little defiant, a little mad and just wanting to push the rules,” Boyd told WSOC-TV. Tuttle said that the game has not been played in Charlotte so far, but the department still wanted parents to talk to their children and explain why it’s no laughing matter. “Tell them how serious what being missing is and how big a deal it really is because of the emotional and physical strain on families and then the resource strain on a police department such as ours,” Tuttle said. The city of North Carolina receives data for more than 10,000 missing persons every year, according to North Carolina’s Center for Missing Persons. The center said that reasons behind disappearances range from problems at home, health or mental issues, snags with the law, or a taste for adventure. It also notes that many adults who disappear don’t want to be found or may have other problems such as memory loss, mental illness, or a history of drug use or alcoholism. “It makes us all cringe because of the potential for resources to be pulled away from where they need to be,” Tuttle said. 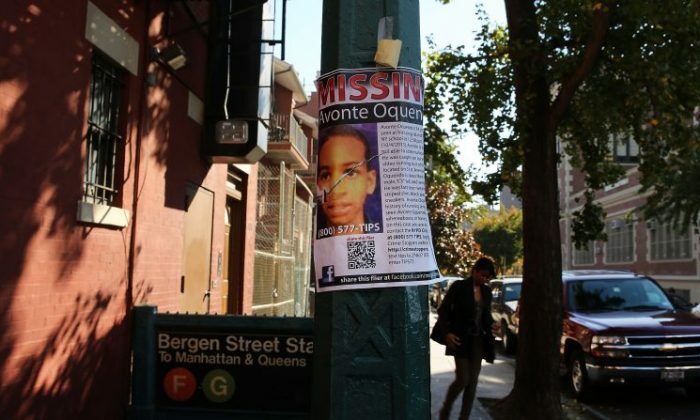 The missing person’s department said it plays a vital role in solving missing children cases. It also plays a key role in solving both missing children and missing adult cases by providing police and sheriff’s departments with technical assistance and serving as liaison between states and various governmental agencies. The center maintains a nationwide, toll-free telephone number that is available 24 hours a day with a staff member always on call. Families or law enforcement officers needing immediate assistance can call 1-800-522-KIDS (522-5437).